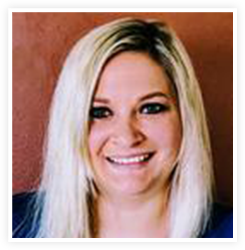 Dr. Kristy McKiness Ed.D, LCPC, ACS is the founder of KM Institute LLC, and has been in the helping profession since 2001. She completed her doctorate degree in Counseling and Higher Education at Northern Illinois University. Dr. McKiness has rendered services in settings including jail, emergency room, outpatient, residential, and schools. She highly enjoys working with adolescents and their families as well as adults and couples. She is dedicated to serving first responders, and completed her doctoral dissertation on police officers perspectives of Crisis Intervention Team (CIT) training. She also serves as a member of the Illinois Association of Chiefs of Police on the Police Psychological Services Committee to advocate for a variety of supportive services to law enforcement officers. Dr. McKiness has worked with first responders since 2001 through collaboration with CACI and forensic interviewing, providing professional trainings, rendering mental health and substance abuse services to responders and their families, and training other clinicians to work with first responders. She is also a NEMRT certified trainer for CIT trainings. She holds certifications the areas of sexual assault and domestic violence, a 120 hour specialization certification in counseling firefighters, is a certified divorce mediator and forensic interviewer, and has a certification as an Approved Clinical Supervisor. Dr. McKiness is also the Clinical Director for the Illinois Firefighter Peer Support Team as well as the Clinical Director for Operation Shattered Stars. With regard to her clinical style, Dr. McKiness enjoys working with her clients to reach their personal goals while enhancing their emotional wellness. She recognizes change to be a positive part of growth, progress, and opportunities. She believes in empowering her clients to help them identify their strengths as one avenue of creating long last change. 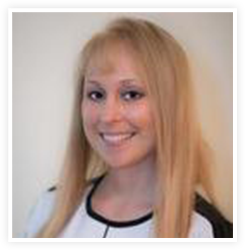 Kristy highly enjoys working with adolescents, adults, couples, and families. 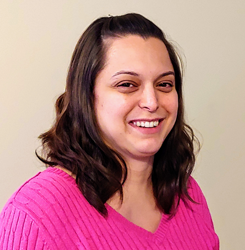 Kristy is also passionate about teaching counselors-in-training, and is an adjunct faculty member in the Northen Illinois University graduate counseling program and an Advisory Board Member at Adler University. She also enjoys providing professional presentations, and has presented at state level conferences on a variety of topics including adolescent risk and threat assessment, female doctoral student adjustment, and Crisis Intervention Teams (CIT). Do you feel like you are alone, not yourself, and/or no one understands you? It is okay to not be okay. Working with Lisa, you will not have to feel alone in this battle. She believe in working as a team providing support and empathy to assist you in creating client specific goals, self-awareness, self-confidence, and skills to work towards your ideal self. Lisa believe that sharing past experiences and stories, and being understood is significant in the road to recovery. Lisa has experience working with children/adolescents, adults, and elders in various settings that include: Inpatient stabilization, partial hospitalization for mental health and chemical dependency, community-based crisis intervention with mental health and substance abuse, emergency rooms, schools, and in-home therapy. Through these various settings, she has experienced helping people with a variety of concerns including: anxiety, depression, mood disorders, trauma/PTSD, crisis intervention, self-injury, addiction, anger, domestic violence, bullying, foster care, grief and loss, behavior management, sexual assault, oppositional defiance, and school related issues.Lisa practices from research driven theoretical models including Dialectical Behavioral Therapy (DBT), Cognitive Behavioral therapy (CBT), Trauma Focused CBT, Play Therapy, and Motivational Interviewing (MI) to motivate client change. She finds it helpful to provide education and support to children, parents and/or schools, individuals, and couples to assist in understanding emotional needs and managing difficult emotions. We all go through times in our lives that may be difficult to manage especially on our own. In these times it may be even more difficult to open up to others. However, when we do, we may find that it can be healing, beneficial, and encouraging. I have worked with clients of all ages from children to older adults with a majority the of time spent working with people in adolescence through adulthood. I have worked in multiple settings including inpatient hospitalization, adult and adolescent partial hospitalization, and emergency rooms providing crisis intervention. I work with individuals, couples, and families. I have experience working with various mental disorders including depression, anxiety, bipolar, adjustment disorder, mood disorders, trauma, grief and loss, anger management, substance abuse, difficulty with life transitions, and assist couples and families on improving communication skills and relationship dynamics. As a Licensed Clinical Social Worker, I utilize cognitive behavioral therapy (CBT) and work from a strength based, client-centered, and solution focused approach in a supportive and nonjudgmental environment.